There is only one garage overhead ceiling rack that we trust due to its superior strength and reliability. We have the strongest overhead garage storage in Wausau, Wisconsin. 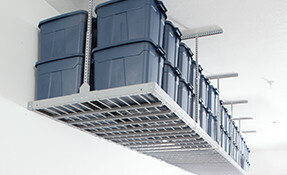 With our overhead racks, you can make the most of the underutilized storage space on your ceiling. 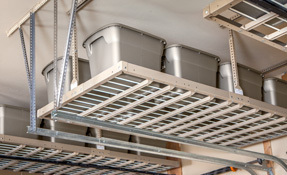 Our overhead racks use the most reliable metal to ensure your system lasts for years to come. 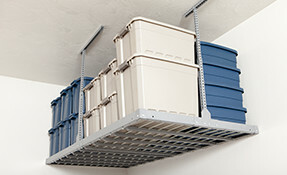 The 2 inch safety lip around our racks provide additional safety for your storage items. Never worry about totes slipping off the edge while you’re moving things around. All four corners are securely mounted with ultra strong adjustable pins to eliminate swaying and ensures the rack will always hold secure to the ceiling. Take the hassle out of accessing your overhead racks by going motorized. Our Bluetooth controlled motors can bring your overhead racks down to the ground floor with the touch of a button. Have your garage storage lifts in Wausau installed within a matter of hours. With a professional installation, you can rest easy knowing it will be done right! 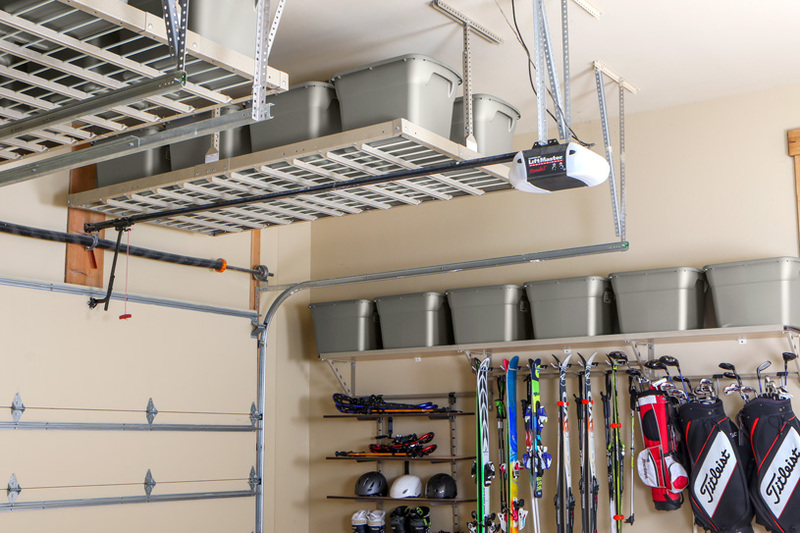 Your families safety is our top priority, so add some convenience to your garage with the all new motorized overhead racks! Superior Strength: From commercial to residential use and a weight capacity of up to 1000lbs when mounted to the wall, our overhead racks have never failed. Increased Floor Space: Long term storage can be stored on ceiling racks such as Christmas trees, totes, camping gear, and more. 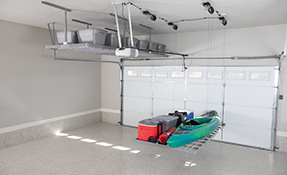 Expandable: Whether you need overhead storage to cover the entire length and width of your garage ceiling, or just need a portion, our versatile system is perfect. Easy Access: Being able to see your items on the ceiling allows you to easily find items and frees up space inside your home. 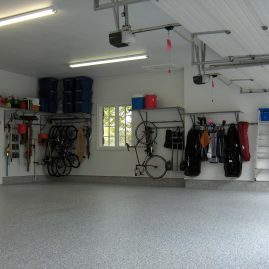 Gain Space: Your garage overhead storage can literally provide you with the square footage of your garage floor up above. Imagine the space you could gain inside your home! Professional Organization: Our professional organizers will show you how to make the best use of that wasted space and get everything up off the garage floor. Whether you are planning on using your garage for an extra room, a workspace, or simply to park the family vehicle, we’ve got the ultimate storage solution for you. Give us a call and get started on your overhead garage storage in Wausau today! We’ve taken garage storage to the next level. 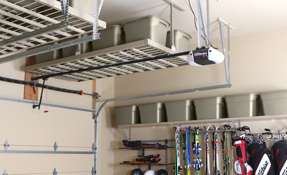 Start utilizing your garage space with our overhead garage racks. 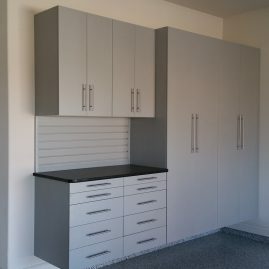 Give us a call to get to started on your garage transformation.